In 2003, ACRL defined scholarly communication as "the system through which research and other scholarly writings are created, evaluated for quality, disseminated to to the scholarly community, and preserved." Make Textbooks Affordable: From the Student Public Interest Research Group (PIRG), this site offers news on OER adoption efforts and ways to mobilize. Making Textbooks Affordable: Student Government Toolkit : Offers background on the problem of textbook affordability and gives tips for raising awareness, building support and winning affordable textbook policy campaigns. Pass a Student Government Resolution: From the Open Textbook Alliance, this website offers a sample resolution for adoption on campus. Colvard, Nicholas and C. Edward Watson. (2018) The Impact of Open Educational Resources on Various Student Success Metrics. International Journal of Teaching and Learning in Higher Education. 30 (2): 262-275. 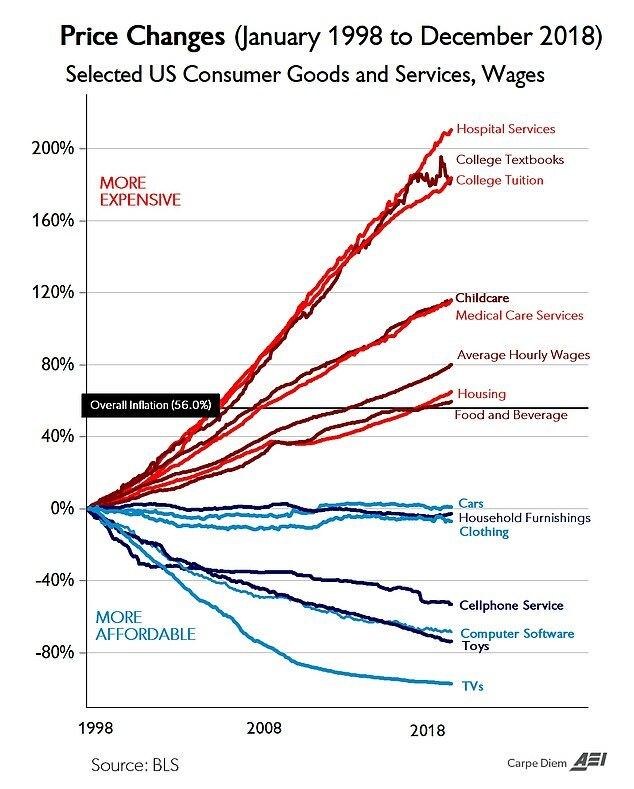 Increasingly, students are struggling with textbook costs because those costs (and tuition) have risen over the past 20 years far faster than inflation. The average W&M student pays $1400 per year on textbooks and course materials, so students and faculty across the country are increasingly interested in low-cost solutions. These include open education resources (OER) as well as several alternatives listed below. Open educational resources (OER) are freely accessible, openly licensed text, media, and other digital assets that are useful for teaching, learning, and assessing as well as for research purposes. W&M Libraries are interested in helping the campus community to learn about and incorporate OER's into their courses. For more info, contact the Digital Scholarship Librarian or use the links below to find OER sources. Faculty can also pursue integrating OpenStax textbooks and other OER resources through Barnes & Noble’s Faculty Enlight, which is its faculty textbook and course materials tool. Using this tool (which can be integrated with Blackboard), faculty can link to customized course materials such as OER’s and course packs. They can also get estimates on student textbook costs, see what has been adopted for the course in prior semesters and even see what other universities have adopted. Read more on their courseware information. Mason OER Metafinder: Described as the "Google of OER's", this site allows you to simultaneously search across 15 OER platforms including HathiTrust, MERLOT II, OAOpen.org, OER Commons, OpenStax, DPLA, Project Gutenberg and more. Directory of Open Access Books: A service of OAPEN Foundation, an international initiative dedicated to Open Access monograph publishing, based at the National Library in The Hague. DOAB is being developed in close cooperation with individuals who were also responsible for the development of the Directory of Open Access Journals (DOAJ). Discoverable through Mason OER Metafinder (linked above). EdTech Books:EdTech Books is an initiative led by faculty of the Instructional Psychology & Technology Department at Brigham Young University. While all the content is free, licenses differ from one title to the next. OER Commons: OER Commons, from the Institute for the Study of Knowledge Management in Education (ISKME), offers a comprehensive infrastructure for curriculum experts and instructors at all levels to identify high-quality OER and collaborate around their adaptation, evaluation, and use to address the needs of teachers and learners. OpenStax: A non-profit organization within Rice University offering open access peer-reviewed online textbooks to improve student access to education. Included in the Open Textbook Library and discoverable through Mason OER Metafinder (linked above). Open Textbook Library: A growing collection of free, peer-reviewed, and openly-licensed textbooks which may be adapted to suit faculty purposes. Includes the OpenStax textbooks and is discoverable through Mason OER Metafinder (linked above). 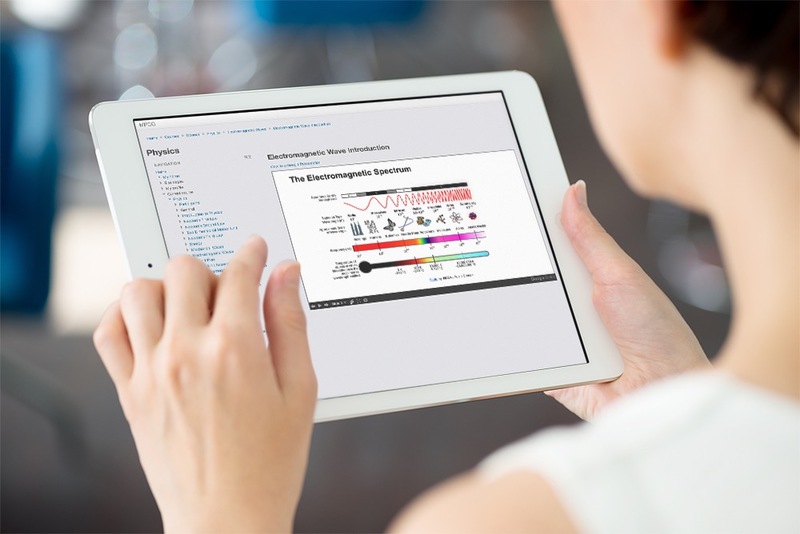 Teaching Commons: Showcases high-quality open educational resources from leading colleges and universities and makes them available to educators and students around the world. Curated by librarians and their institutions and hosted by bepress, the Teaching Commons includes open-access textbooks, course materials, lesson plans, multimedia, lectures, k-12 materials, and more. Faculty can now find and select open and affordable textbooks for their courses in one place through this portal, part of a wide-scale initiative by VIVA to provide no-cost and barrier-free access to course curriculum resources for students and researchers. The Portal contains over 200,000 titles from VIVA’s shared library collections, open access textbooks, and ebooks available for VIVA to purchase on behalf of public colleges and universities throughout the state. Placing a physical copy of the textbook on reserve in the library. Adapting or authoring an OER and placing it in W&M's institutional repository, W&M ScholarWorks. Contact your liaison librarian or the digital scholarship librarian for more info. Authoring Open Textbooks: This guide is for faculty authors, librarians, project managers and others who are involved in the production of open textbooks in higher education and K-12. Content includes a checklist for getting started, publishing program case studies, textbook organization and elements, writing resources and an overview of useful tools. Modifying an Open Textbook: From the Rebus Community, a concise guide on how you can adapt an open textbook already published for your course. OER Commons: Run by the Institute for the Study of Knowledge Management in Education, this is a platform for publishing OER's. Per the site, "OER Commons offers a comprehensive infrastructure for curriculum experts and instructors at all levels to identify high-quality OER and collaborate around their adaptation, evaluation, and use to address the needs of teachers and learners." OER Toolkit: Provided by the Ontario college libraries and learning centres and the Ontario Colleges Library Service (OCLS), this guide to open educational resources, provides faculty and library staff with tools and information to understand, engage with, create, and sustain OER in their work and practice. The Rebus Community offers a collaborative model for open textbook publishing. Faculty, staff and students are all eligible to participate in a variety of capacities, from publishing to proof reading, providing help in identifying images, assisting with promotions and more. W&M Libraries is leading an effort across campus to explore reduced textbook prices for all W&M undergraduate students. One way this may happen is through a pilot program with the campus bookstore, Barnes & Noble, as part of their OnePrice model. The OnePrice program guarantees textbook delivery (in a variety of formats) on the first day of class for a greatly reduced flat fee. The cost for OnePrice is assessed as an upfront fee from every undergraduate student. A survey will be administered in Fall, 2019 to determine if students are interested in pursuing this option. The survey collects data on what students have paid for their textbooks in Fall 2019. It also asks about student thoughts, preferences and behavior associated with required textbooks which are assigned by their professors. If a majority of students indicate that they value reduced cost textbooks more highly than other factors, then university committees will set to work doing outreach on the project and bring it for a vote to the Board of Visitors. HB 2380: On Jan 8, 2019, legislation was introduced in Virginia which would require the registrar or another appropriate employee of each public institution of higher education to identify conspicuously (i) in the online course catalogue or registration system or (ii) as soon as practicable after the necessary information becomes available each course for which the instructor exclusively uses no-cost course materials or low-cost course materials. Read more via http://lis.virginia.gov/cgi-bin/legp604.exe?191+sum+HB2380. VIVA Course Redesign Grants: Are you interested in textbook affordability for W&M students? If so, there is some new funding and resources available from Virginia’s academic library consortium, VIVA, to fund up to $30,000 per applicant or applicant team for adopting, adapting or creating openly-licensed textbooks and/or course materials. Funds can cover faculty and staff time and compensation, including course release time, overload pay, and replacement coverage, depending on institutional and departmental policies. The RFP, application, evaluation criteria and more are all described on the VIVA Course Redesign Grants program page. HB 454: Legislation was adopted on April 4, 2018 at the Virginia legislature via HB 454: Higher educational institutions, public; governing boards, open educational resources to require the governing board of each public institution of higher education to implement policies, procedures, and guidelines that encourage the adoption and use of low-cost and no-cost open educational resources in courses offered at such institution. This includes posting a list of all textbook adoptions in a central place and that adoptions are given to the campus bookstores with sufficient lead time to ensure availability. Read the full text here. Affordable College Textbook Act: On September 26, 2017, legislation for the Affordable College Textbook Act was introduced in Congress to expand the use of open textbooks in order to achieve savings for students. According to the bill, the Secretary of Education would make grants, on a competitive basis, to eligible entities to support projects that expand the use of open textbooks in order to achieve savings for students while maintaining or improving instruction and student learning outcomes. Stay tuned to Congress.gov to learn more on this effort.